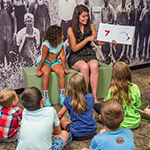 The Golden History Museum renovation includes new programming spaces, a research center, a hands-on gallery for families with young children, and dynamic new exhibits that highlight the City’s collection of historic objects. 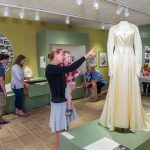 With the vision of “always something new to discover,” the renovated Golden History Museum brings the behind-the-scenes practices of object discovery and preservation to the front of the house. Tip: Members get free admission to paid programs, so join us today! 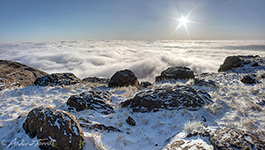 Comprised of 12 large canvas prints by local photographer Andrew Terrill, this exhibit reveals Golden from a perspective few see: from high above the clouds. Discover this dramatic exhibit today. On view through August 27, 2019. 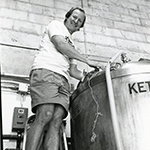 Just 25 years ago Golden City Brewery and Woody’s Wood-Fired Pizza & Watering Hole presented new concepts of craft beer and craft pizza to downtown Golden. Learn about these venerable institutions on your next visit. On view April 25, 2019 through March 15, 2020. Learn about the delicious product invented by two British-born brothers in the early 1870s. Because malted milk was convenient, nutritious, lightweight, and non-perishable, it was a favorite among soldiers, explorers, and athletes. Experience this exhibit as soon as you can. On view through March 1, 2020. Read biographies of important locals and learn some surprising facts. The changing exhibit currently features 21 women who were influential in Golden along with key artifacts from their personal effects. View, study, and watch professionals and volunteers document important Golden artifacts. Peruse new items coming in and interact with staff. A full research library with both new and rare books pertaining to Golden’s history, maps, directories, and files are accessible by appointment. Digitized newspapers and photographs are easily viewable at a dedicated workstation. 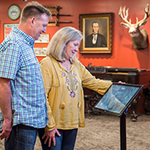 This Wild West-themed gallery also serves as a theater for showing the museum’s film collection (tip: catch the 1909 silent film shot in Golden) and is a versatile program space for lectures and classes. See upcoming lectures and classes at GoldenHistory.org/events. 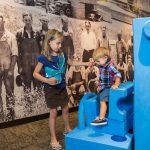 Our hands-on space encourages building and playing while exploring Golden’s clay-mining heritage. 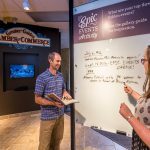 Other family activities are found throughout the museum inviting children and adults to create, search, discover, and interact together.